At current writing, BigGuy is about to turn 11 and Girly just turned 6. If BigGuy has a tradition, Girly follows along in lock-step. We were never really huge on “the Easter Bunny” so that one was easy to let go of. Easter was more about egg hunts than about a basket appearing from the bunny. Food allergies, FTW. The tooth fairy… that’s rough. It’s intermittent and it comes with money. Not much, but still–my kids value money. Tooth fairy seems to be surviving. BigGuy is totally on to the fact that we are doling out the money, but I almost think that this might be a gentle dance between us–with him believing that we would be upset if he broke the illusion to his younger sister. Kind of “pay up or I talk”. I can’t be sure that’s his current position, but the planets are definitely aligned for it. Joke’s on him. Santa… wow… Santa. Santa is HARD. BigGuy knows. Maybe two years ago we sat him down and explained to him that Santa WAS a real person and gave him the whole backstory and that current-day, moms and dads “keep that tradition alive”. BigGuy is totally okay with this. Girly, on the other hand, IS. NOT. HAVING IT. Every aspect of our culture, compounded by grandparents and relatives all talking up the wonders of Santa put Husbeau and I in the mean minority here. Girly believes that all of these creatures are alive and well and working in her best interest. 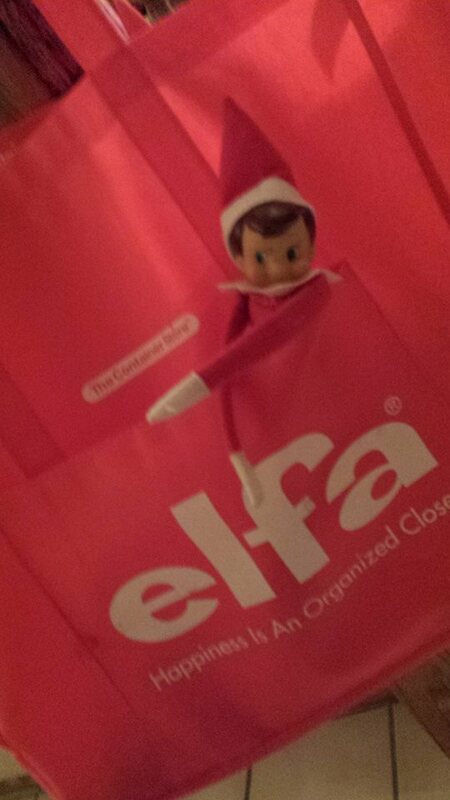 She has bought into the culture of tooth fairies, Easter bunnies, Santa Claus knowing if you’re naughty or nice, and… the last entry into this charade before we wised up: Elf on the Shelf. 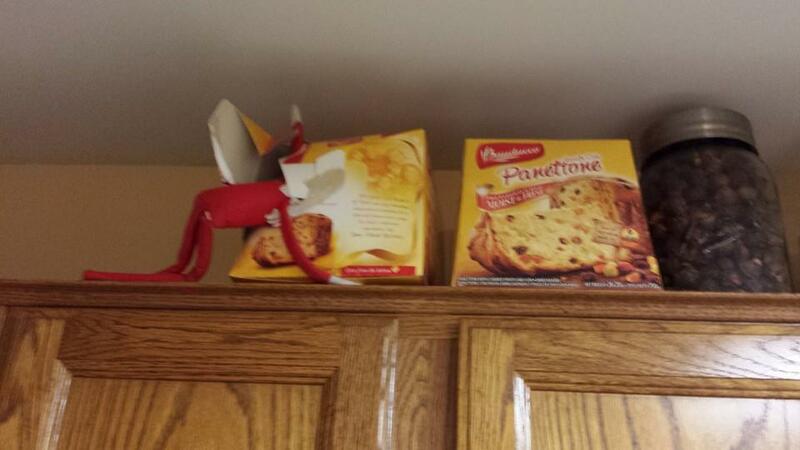 Oh… oh, Simon (our elf’s name). It wasn’t easy, but we redirected Simon’s purpose from being Santa’s watchdog to simply being a mischievous imp. 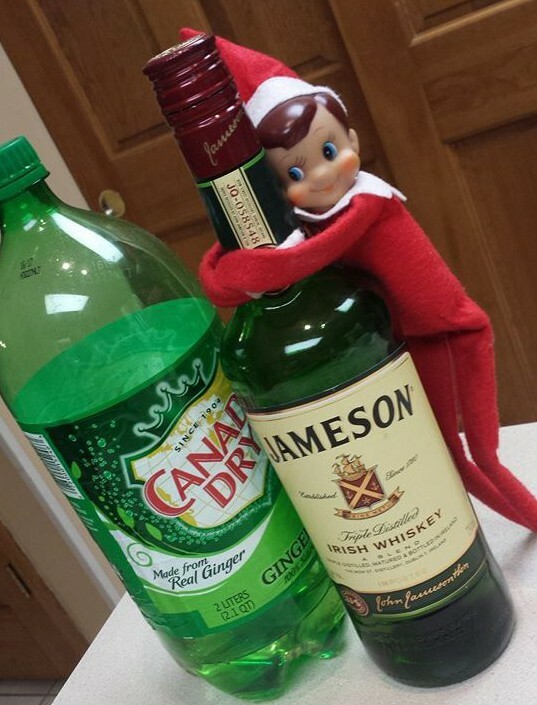 Because seriously–my kids need to behave all year round, not just when the elf is watching. Can I get an “Amen”? I learned that quickly. As in: the first year. 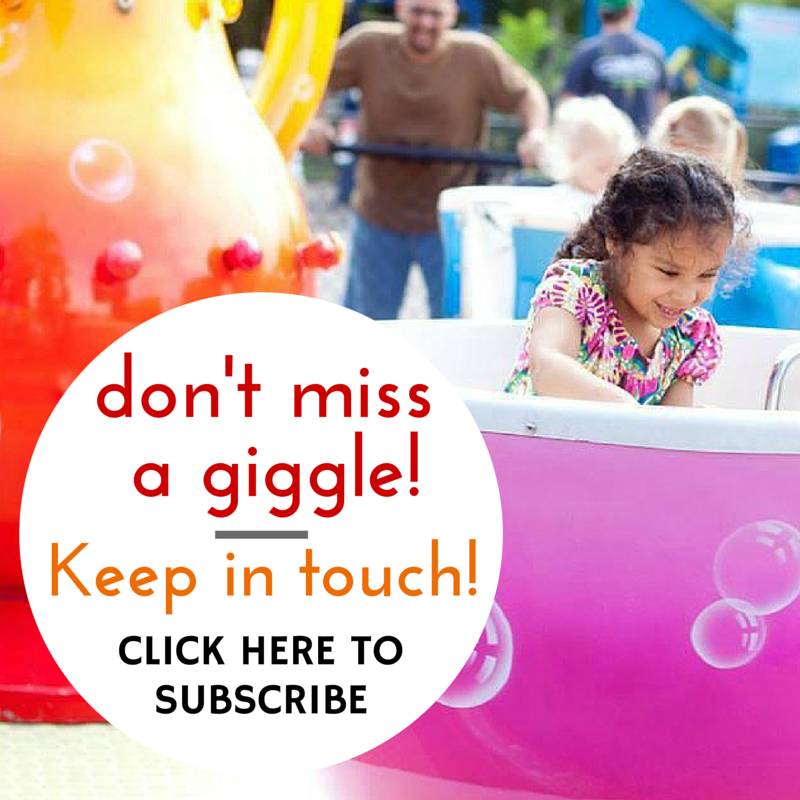 I seriously could not imagine who on earth thought this was a good idea; and how parents managed the rest of the year…? WTH? 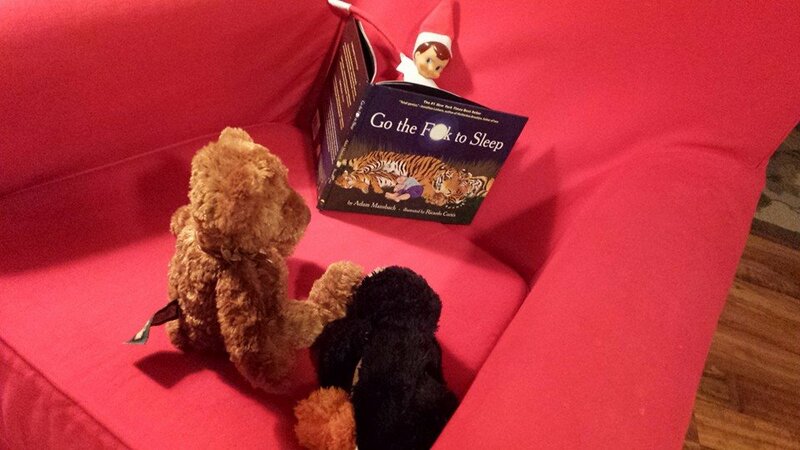 Simon then took on the role of just hanging out for a year… moving each night, but not “reporting back to Santa”. It was an awkward year. Simon had a purpose the prior year and now nobody–parents included–really understood why Simon was around if he wasn’t spying on the kids to determine Christmas bounty. 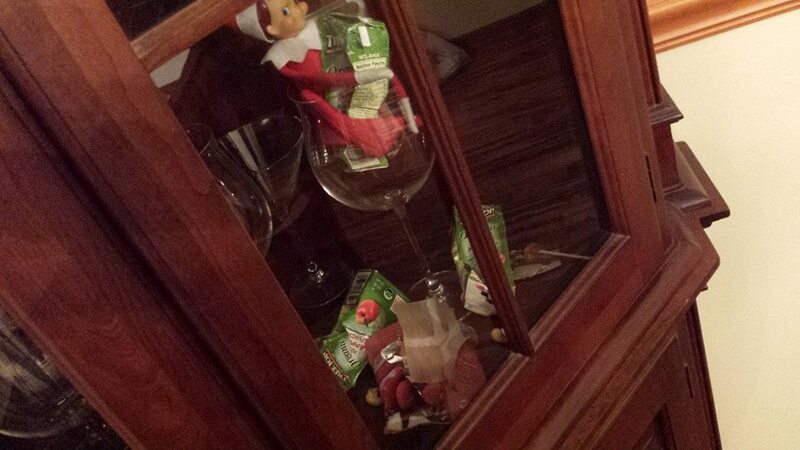 The third year, elf hatred made the rounds in the intarwebz and suddenly, a new idea cropped up: the mischievous elf. Well… Husbeau took up this cause with great gusto. 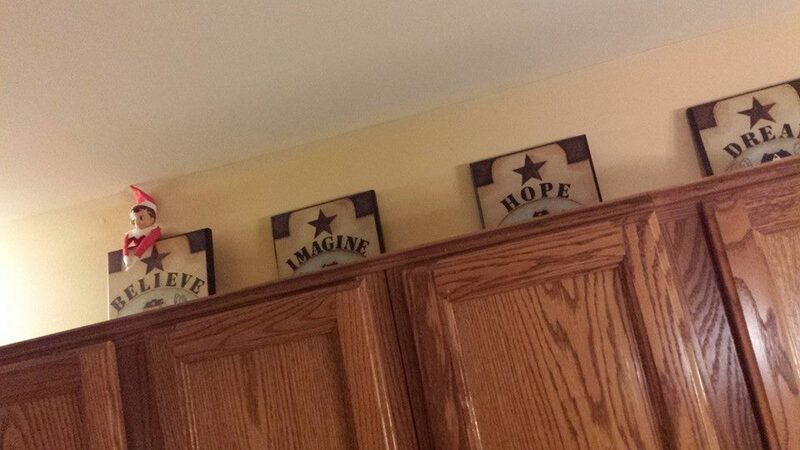 Ugh… I could have seriously shot this man. SERIOUSLY??? So now, the time is coming again for Simon’s return. Girly is still very firmly committed to Santa no matter how we try to gently shatter this illusion. Even with the questions about how Santa comes down the chimney or eats so many cookies–with our empty replies or casual “Maybe because he’s not real…?” remarks. She plows forward–rejecting our reality and replacing it with her own. “Maybe he throws up the cookies when he’s too full and then he has room for the next house.” She’s all in. And so it goes with Simon. Just a few days ago, the kids noted that Simon would still move overnight if the kids touched him but we parents hadn’t SEEN the kids touch the elf. It was only when the parents saw that the kids touched the elf that he would seemingly lose his “magic”… Honest to goodness, I think they might truly believe that Simon is playin’ the parents and the joke is on us. The elf and kids are “in the know” that touching him doesn’t make the elf lose his magic, and at this point–they’re keeping the image up for the old folks. This year, I think we finally have it down. Again, thank you, intarwebz. This year, each day Simon will present the kids with a new book for the family to read together. We own easily half of the ones on my list and we can borrow the rest of them. It doesn’t matter that they’re library books–Simon is clearly taking from our stash and I will be sure that we borrow from the library in time for Simon to have a book to grab. But it should be fun.